Radius Networks is a location technology company focused on helping businesses locate, engage and transact with their customers for order delivery, messaging, and tracking. Our wireless-enabled tableside and curbside platforms are installed globally in tens of thousands of locations across more than 60 countries. Our clients include some of the world's largest brands and span multiple markets such as restaurants, hospitality, gaming, grocery, and retail. Our team has worked very hard to build and implement products that change the way our partners locate, engage, and transact with their customers. We are so grateful to our clients and partners who continually drive us to innovate and create new products. 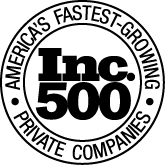 We are honored to be named #255 on Inc. 5000’s Fastest Growing Companies in America list! We are honored to be named #71 on Deloitte’s Fastest Growing Companies in North America list (and #1 in DC)! Business Chief showcased Radius Networks in the editorial feature: “Digital Disruption in a Data Driven World.” Check it out here.